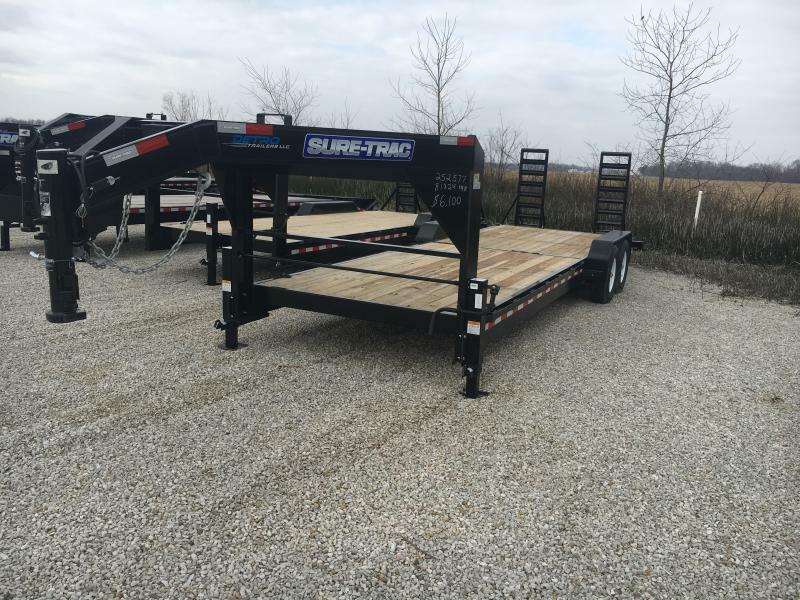 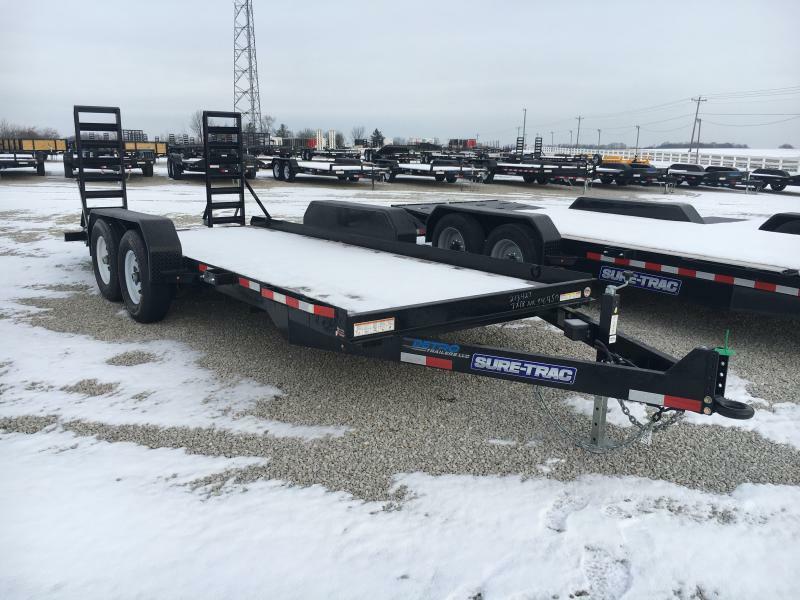 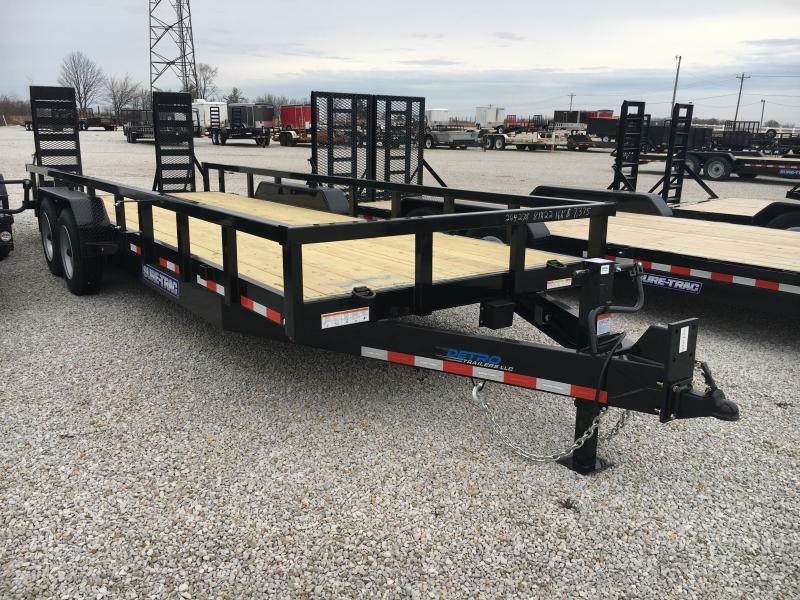 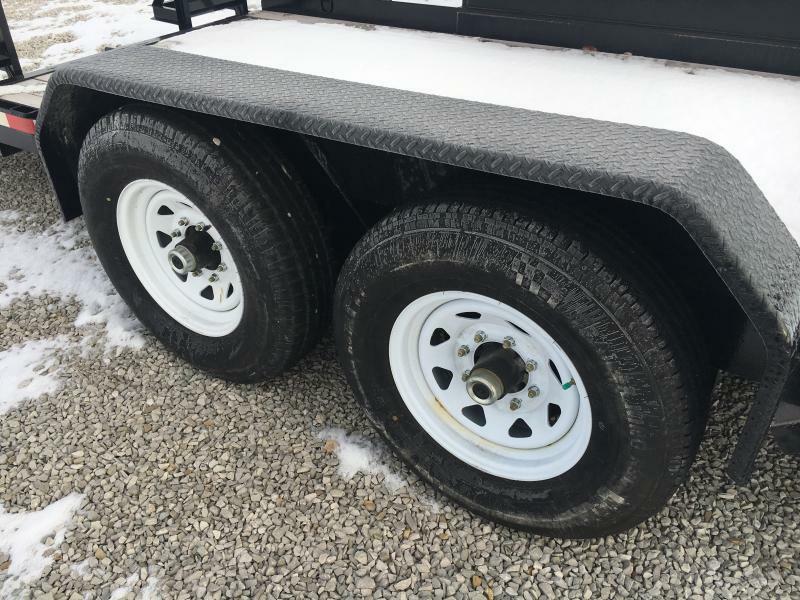 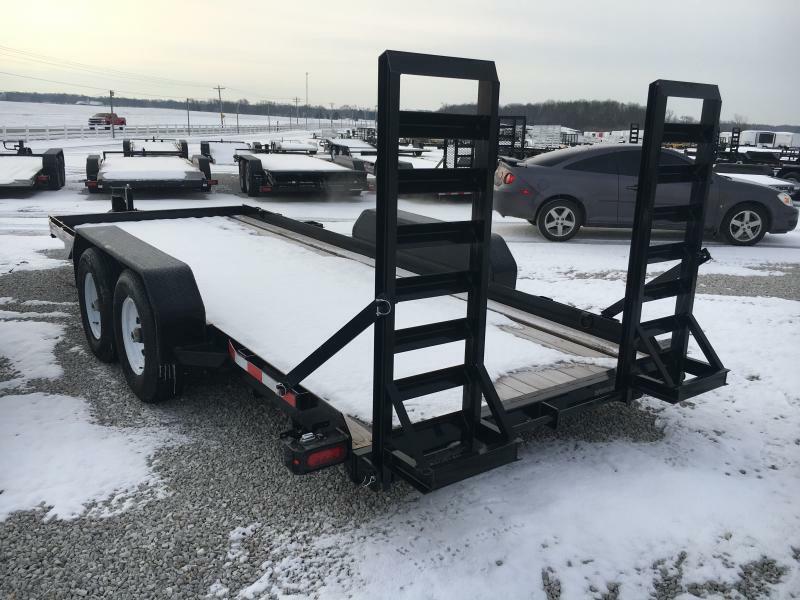 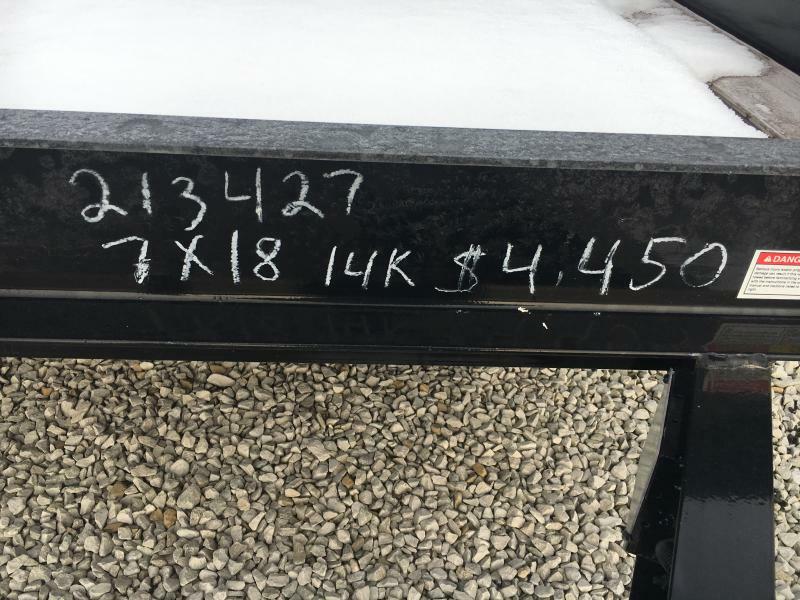 2018 Sure-Trac 7 x 18 Skid Steer 14k | Detro Trailers | New and used car haulers, enclosed cargo and utility equipment flatbed trailers | Indianapolis, IN. 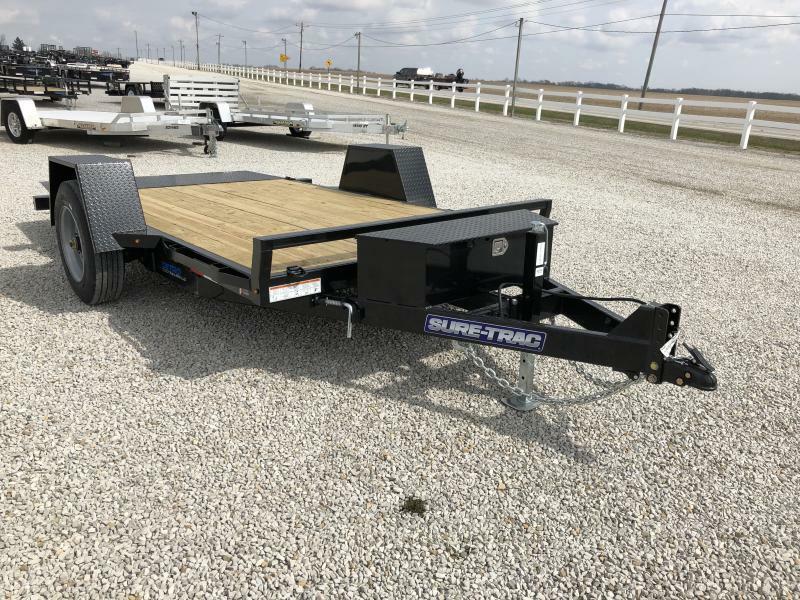 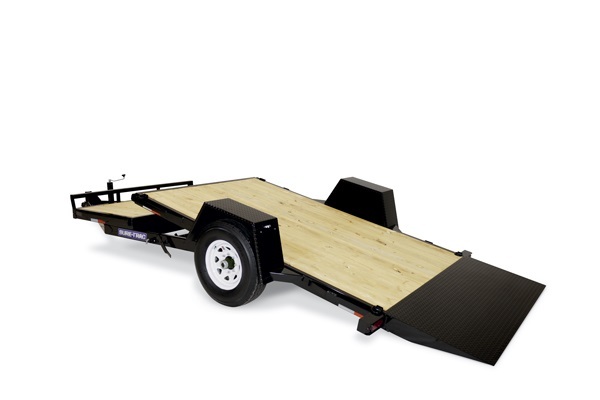 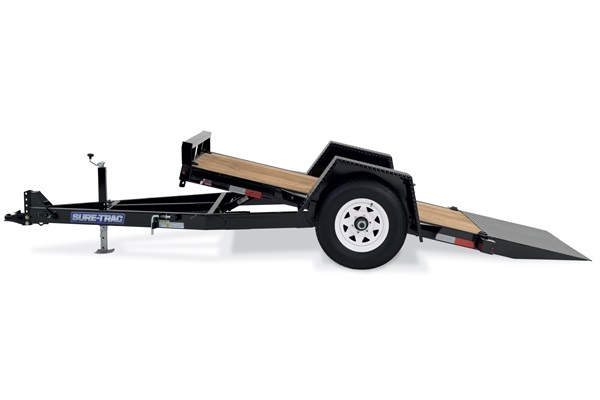 Built with a heavy-duty angle frame, the Sure-Trac Skid Steer Trailer sits 4″ lower than the standard equipment trailer. 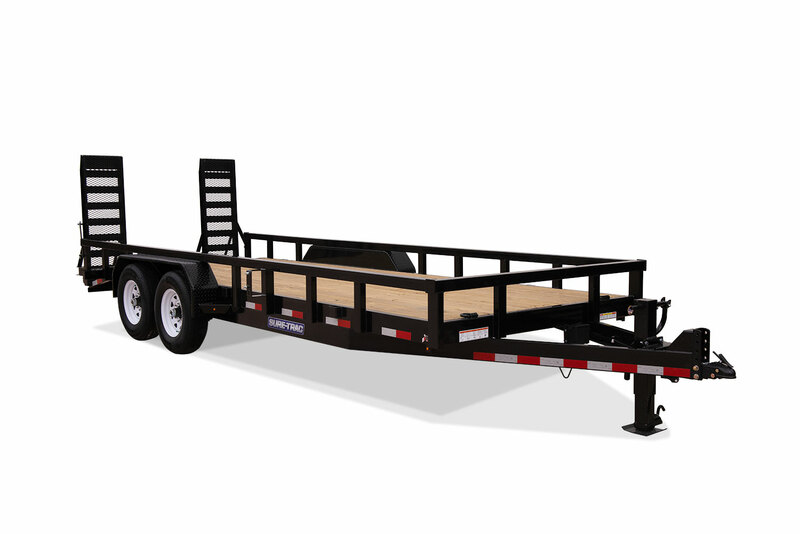 The extended tongue allows the Skid Steer Trailer to be pulled behind any style of truck and offers optimal maneuverability. 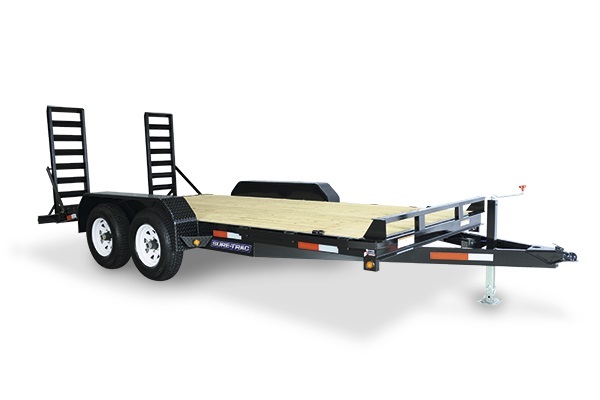 Featuring a heavy-duty (7K) setback jack, adjustable 2-5/16″ coupler and a heavy-duty slipper spring suspension, this unit is well equipped to handle your equipment transport needs.